I suggest you read these wonderful considerations by Maura Pucci on the subject: Il Volo and their fans. I can not explain the phenomenon “fan of Volo”. Instead, I have feelings certainly to be verified. And these feelings lead me to conclude that it is difficult (nothing is impossible!) to find something similar elsewhere. There are singers, who fill arenas and stadiums, have a huge but less … cohesive fan, much more diverse. Same thing I have to say, thinking about my children, regarding the world-famous foreign bands, of which they are fans since they were young. When these bands come to Italy, there is great enthusiasm, ticket hunting, they go to applaud them in other cities, sold out concerts, woe to those who touch them etc … Despite this, my children do not follow and have never followed these bands, in the same way that we follow IL VOLO. From one concert to another they leave them, they do not think about them in the least. 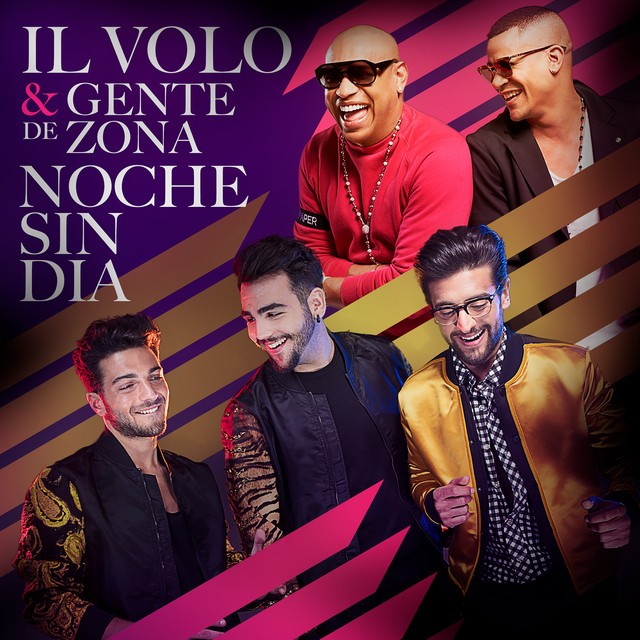 The fandom de Il Volo is something different and it is also necessary to make distinctions. But, unlike what they did with Shlrley Temple, they did not abandon them once they grew up, on the contrary … The numerous transatlantic flights on the occasion of the Italian concerts, in particular in Taormina and Verona, are showing that their love is “forever”. In Italy some of us have known them almost like brats and then they found them already great, others have discovered them in their twenties or so. All of us were struck by sounds now obsolete, melodies and forgotten harmonies, finally true voices. And we all adopted them or we fell in love with them, depending on age …. The pages dedicated to them have sprung up like mushrooms. I think, that in the world no singer has a number of fan pages superior to IL VOLO and not even in Italy as regards the “our own” singers …. Too bad there are no comparative studies in this sense! So, it formed a hard hoof of Italian and American fans that follows them on Facebook in a manic and obsessive way and that follows them, if he can, in concerts from one end of the peninsula to the other, not sporadically …. but DAILY . We always know where they are, with whom they are, where they sleep, what they eat (of this subject we are very well informed …) and if they go to a place without letting us know why, we get angry too …. We are even able to follow the route of their planes step by step when they travel. And we look forward to knowing when they land. We travel with them, we live with them. Let’s make a local mind: is this normal? Does it happen to fans of other singers ?. Personally I can not believe it. To conclude …… Our attachment to Il Volo, which makes us a permanent fan “in service”, I would call it type,…. morbid / familiar, that is visceral: we feel them part of our affections. In fact, we can not bear to be left without news of them. Through videos and photos, which fortunately the guys generously do not make us miss, we live in symbiosis with them … It is as if, every day, we put them under a microscope to learn everything about them: nothing escapes us, a look of understanding, a gesture, a grimace, even a sigh. And all we try to interpret, each according to their sensitivity and their desires. That being the case, the deep feelings that our guys inspire us, it is inevitable that they translate into POETRY, on the part of those who are able to transform emotions into words. Very difficult, in my opinion, to find something similar in fans of other singers. And you do not think that they, feel suffocated by this our great love for them? No,they are instead gratified and consoled by all the negative things they undeservedly receive. Personally, I like to imagine them wrapped in a giant bubble of love, a sort of protection, to proof of the bullets of those who do not love them. If they did not know they are so loved, they would not be smiling and happy as they are actually our dear Gianluca, Piero and Ignazio !!! Congratulations Maura, you made a beautiful analysis, in which I find myself, because I am a fan of IL VOLO and I confirm it with pride! CAUTION: IL Volo may be addictive! They are Additive! I love them!! Mark, that’s right, I confirm that all of us, we already have this flight-dependence … but it’s so nice to have it !! Potrebbe creare?….. Siamo ormai tutti…..dipendenti! WOW! What a great article. Thank you Maura! Maura discovered today, that I wrote a post with her comments. Her words are too true, I had to make them known to you too. I surprised Maura and she was very happy. Maura and Daniela, you have captured the heart of the true fan… We have taken these three young men into our hearts, we love them like they are part of our own family…We worry about them, we are happy for them when they win awards…We love their music… We travel wherever we can to show our love and support for them, and in return they give us true appreciation for loving them and their music… They share their families with us along with their friends so that we feel like part of their family… By following them we become a family as well… The Il Volo family is world wide and we become as close to the Il Volo family as we do Il Volo themselves… This is their power and it is a true phenomenon..
Jeannette, I warned you, and I was not mistaken about your judgment. I knew that Maura put many things and so many attitudes that we “real fans” recognize as real. Maura, what a wonderful article. Who knows Jill, maybe someone close to the guys, will read it. I have never been a dedicated fan of any singer or group. There were performers I enjoyed, but I’ve never found myself so engrossed. They feel like family and yes, I too am concerned for them in a variety of circumstances that come their way. They have given me laughter and joy that I will always appreciate. 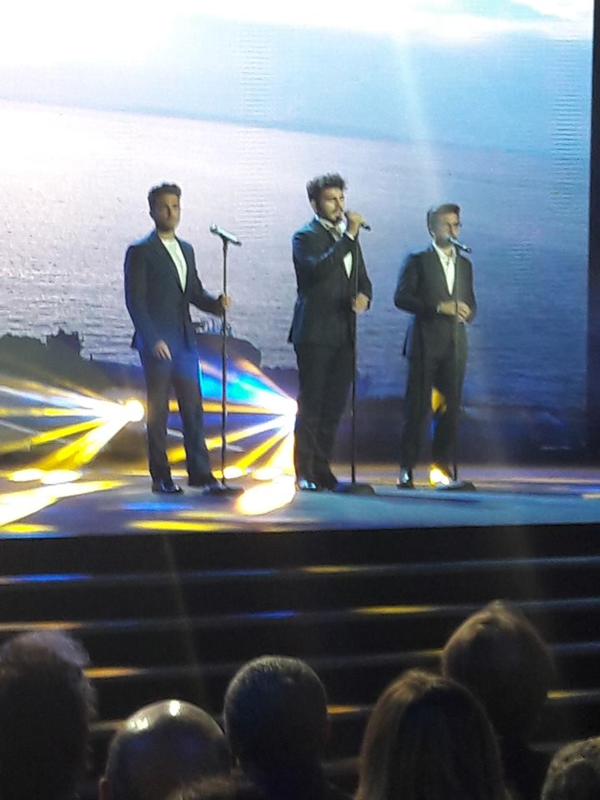 Thank you Il Volo! Jeanette, that’s exactly what we all say, for no other singer or group, we felt so involved! .. Grazie carissime amiche lontane per aver apprezzato le mie parole che mi sono sgorgate veramente dal cuore.E Grazie a Daniela che le ha tradotte per voi.Daniela ha la stessa età delle mie figliole, ma mi tratta come un’amica della sua età e ciò mi fa sentire piu giovane….Sono sempre stata una donna dalle grandi passioni, mai per un cantante, ma sono certa che l’amore per i nostri ragazzi mi accompagnerà fino all’ultimo giorno della mia vita. I translate the words of Maura to you. Thanks dear friends far away for appreciating my words that have really gushed from my heart. And thanks to Daniela who translated them for you.Daniela is the same age as my daughters, but treats me like a friend of her age and that It makes me feel younger … I have always been a woman with great passions, never for a singer, but I am sure that the love for our boys will accompany me until the last day of my life. But you Maura are a dear friend of mine. Do you want to know how we met Maura and me? We met on facebook, speaking of course about IL VOLO but in particular of Flight Crew and a published comment by Myron that we had both read and admired. Harriett, at the beginning, we are all upset by the feeling that assails us, this almost morbid research of everything that speaks of them, but then, when we realize that this way of feeling is common to all of us, we reassure ourselves. Maura puts into words what we dedicated fans feel. I have followed a few singers over the years but none has captured my attention and heart like these talented young men. Thanks Maura and Daniela! Even for me it was like that, Janet, no one like them, and Maura specified it so well in his long analysis. “Fan of Il Volo”. Maura has a real insight to what makes us super fans. I have never in all of my 79 years followed any entertainer with this much intensity. RoseMarie, I’m glad you liked the words of Maura, could not be otherwise, since I know your feelings of fans well. Ive already entered a reply, but Don’t see it…so here I go agsin! Thanks Maura and Daniela for this beautiful post! You’ve said what so many of us feel! Love from Texas! Dorothy, the feelings that connect the fans of Texas, are the same as the Italian fans …… we love those guys !! Thanks Maura and Daniela for this wonderful post about Il Volo and their fans. I especially like the phrase “I like to imagine them in a giant bubble of love”! I do keep them in my thoughts and prayers. Exact Margaret, and it is the fans (us), who create this beautiful “bubble of love” that protects them, it is our love around them. Mark, as Maura is reflecting that the love of the fans is “morbid / familiar, that is visceral”, at some point Maura wonders if this kind of visceral love does not bother the boys, and his answer is NO, because the boys, are instead gratified by this love, which in the end, counterbalances all the negative feelings that the boys undeservedly have to suffer from people who for no reason, reject them for no reason, or by the often bad press with them. Mark, this is a problem with the translator. Often, when I write the names of the boys, I have to check how translates the name of Ignazio, because while the other names leave them as they are written, that of Ignazio is often changed to Ignatius. The surname of Ignazio, as you well know, is Boschetto. In Italian, Boschetto is a surname, but “boschetto” also means “small forest” and is translated as grove. Even if you definitely know it, IL VOLO and il volo (the flight), in Italian are the same thing, so often the translator writes for example: ” The Flight Flight Crew.” and not IL VOLO Flight Crew. Daniela, thank you, once again, for explaining all the above. I forgot there was the “translator” aspect involved with this blog. This one is really a great post and I too wish the guys could be aware of it, but with so much being written about them online daily, how could they be expected to keep up with it all. Yet, they must be curious from time to time to know what their fans are actually saying, as well as positive and complementary commentaries like Mr. Pucci’s above.